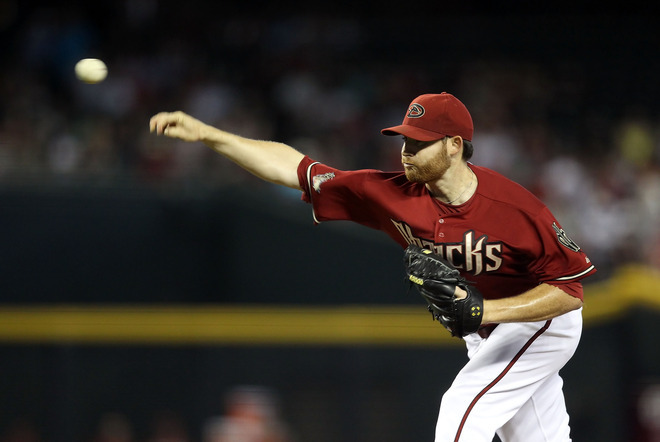 The Arizona Diamondbacks ran their winning streak to 6 after they swept the San Diego Padres. Ian Kennedy pitched 7 innings of one run baseball while striking out 7. The Arizona ace now has an NL best 17 wins. Aaron Hill hit 3-5 with 3 RBIs and his first home run as a Diamondback. Collin Cowgill also had a homer. Orlando Hudson hit a home run against Kennedy in his return to Chase Field as a Padre. San Francisco lost to Houston in extra innings, so the D-backs now hold a 4-game lead in the NL West. Arizona will host Colorado and then travel to San Francisco on Labour Day Weekend.